This CHArts opportunity aims to pilot how arts and cultural events can support the development of iconic heritage sites on Island locations. The heritage pilots will support events that promote synergies between arts/culture and heritage venues. 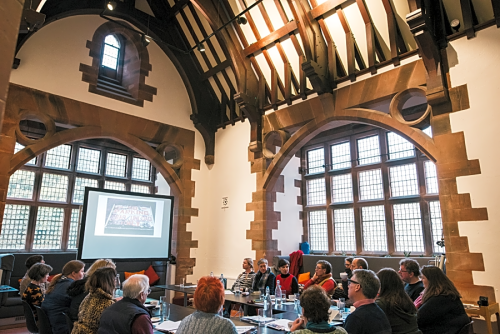 The pilots will provide learning to CHArts to develop a framework of support and to understand challenges faced in developing arts events in heritage venues. Many of Argyll and the Isles heritage riches are remote or hidden in plain sight. These pilots will seek to encourage residents and tourists to travel further and look/listen deeper by making these riches tangible - the places, people, buildings or stories - in ways that are fresh, unexpected. Please submit your application via the link below and please get in touch if you have questions or need any assistance.